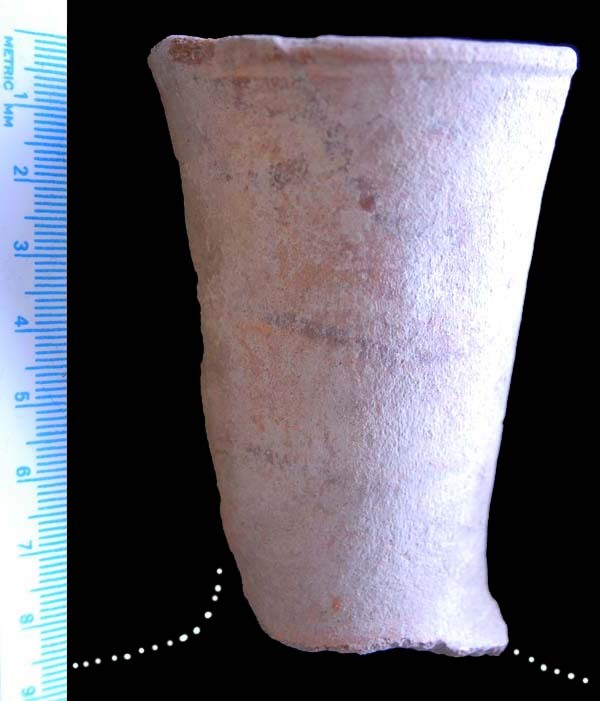 Medieval silver trachy discovered in TP-16 by Kiro, Jeanne, and Jovana. 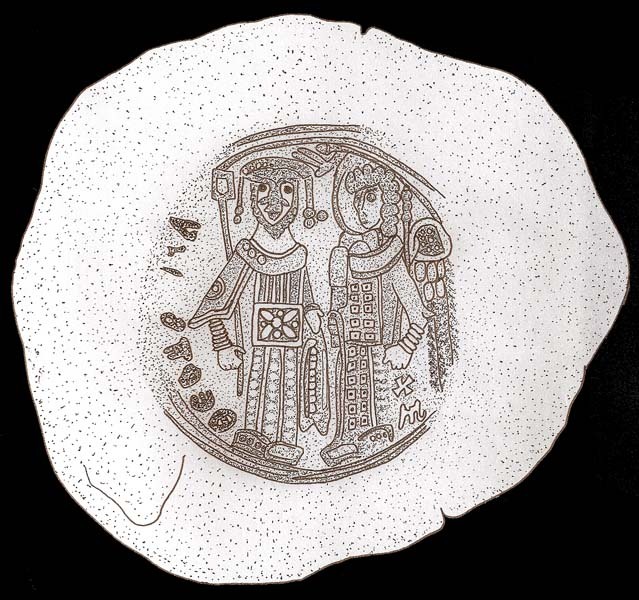 Sgraffito bodysherd from a Medieval bowl. Discovered in the North Cistern, Square 21, Locus 7. 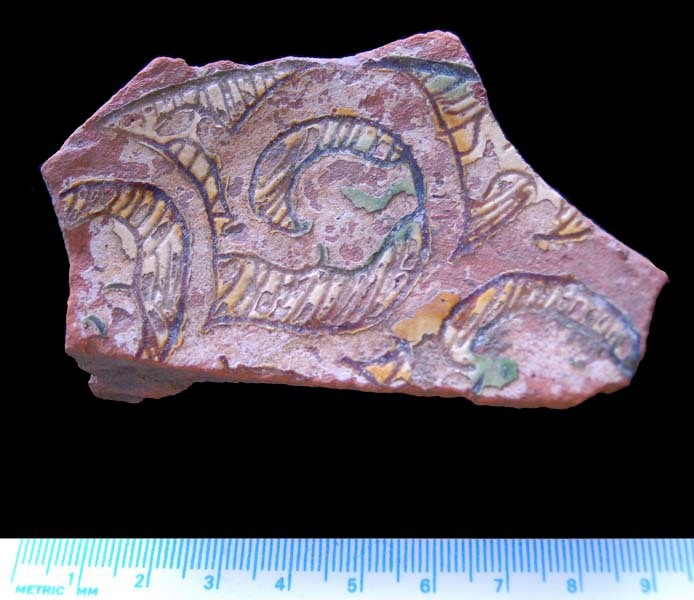 Sgraffito rimsherd from a Medieval bowl. 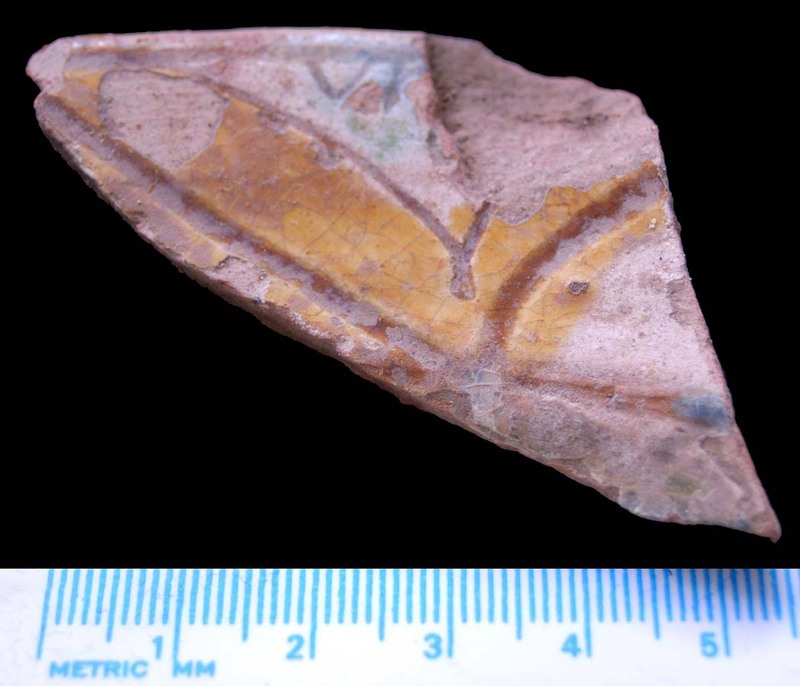 Neck of a bottle with faint traces of paint discovered in Square 23, Locus 3. 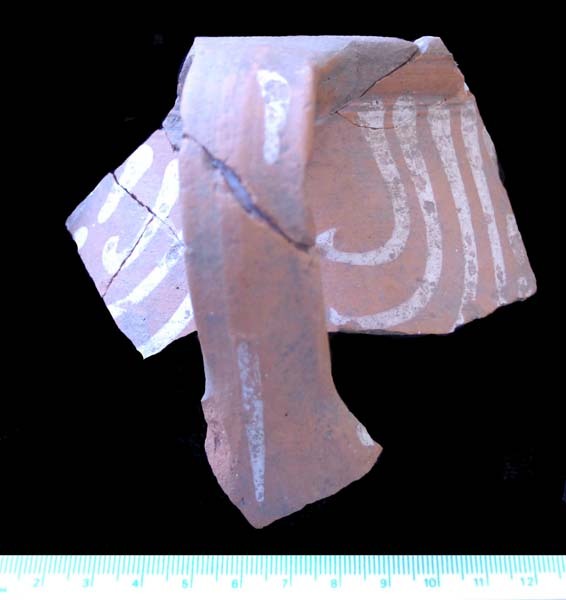 Painted redware cooking pot from the North Cistern. 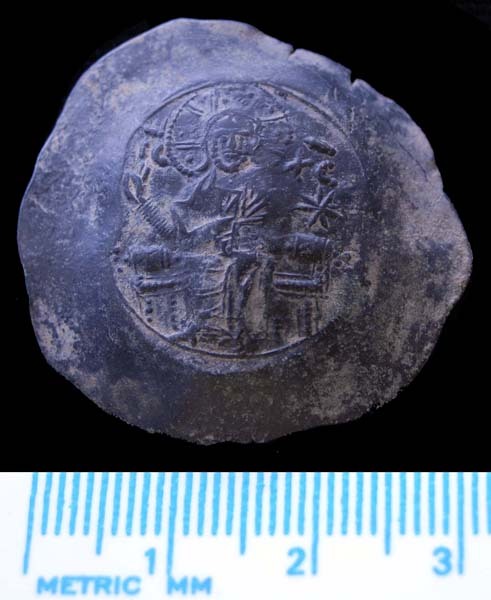 Ottoman copper coin discovered in the North Cistern, Square 21. 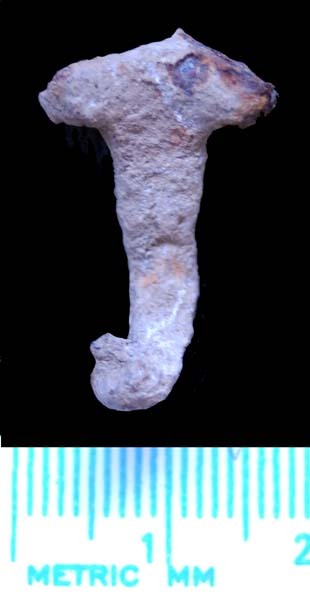 It is nearly identical to specimens from Athenian Agora that Mills (1962: Plate III.5 - 15) dates ca. 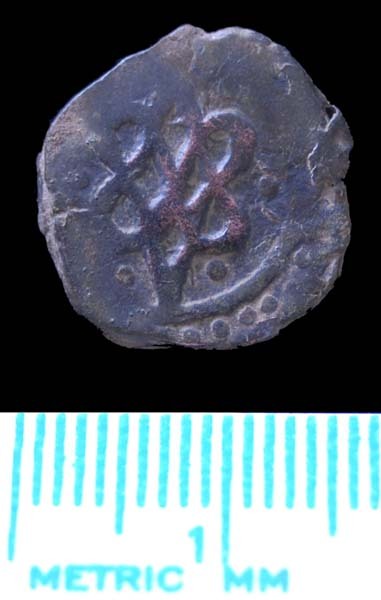 AH 928 = AD 1521-2 and were minted during the reign of Suleyman I (AH 926 - 974 = AD 1520 - 1566). 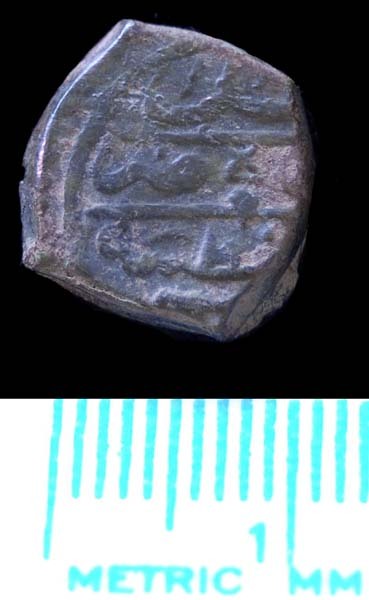 This coin closely resembles a Mangir minted in Adirna during the reign of Sultan Suleyman I (Kabaklarli 1998: 10-Adr-01). 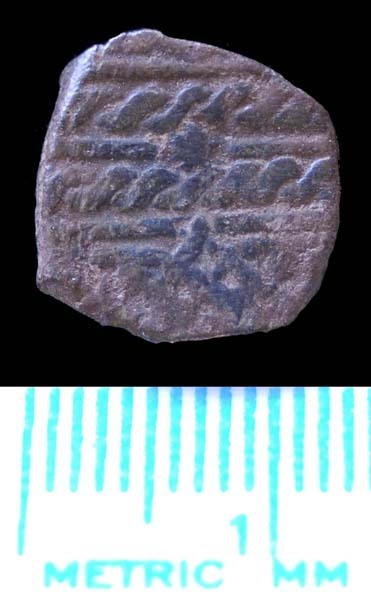 Ottoman copper coin discovered in the North Cistern, Square 21. 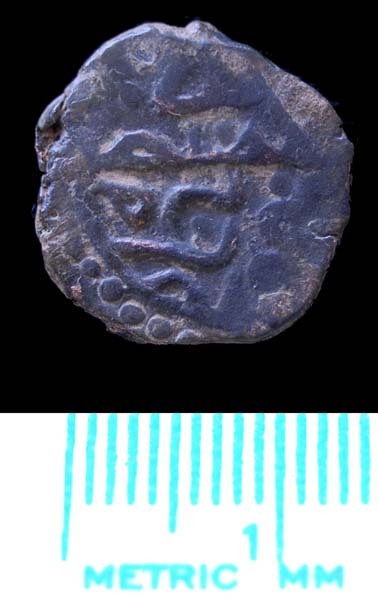 The obverse design is identical to a Mangir attributed by Kabaklarli (1998: 10-Qos-40)to Sultan Suleyman I in AH 933 = AD 1526-7. 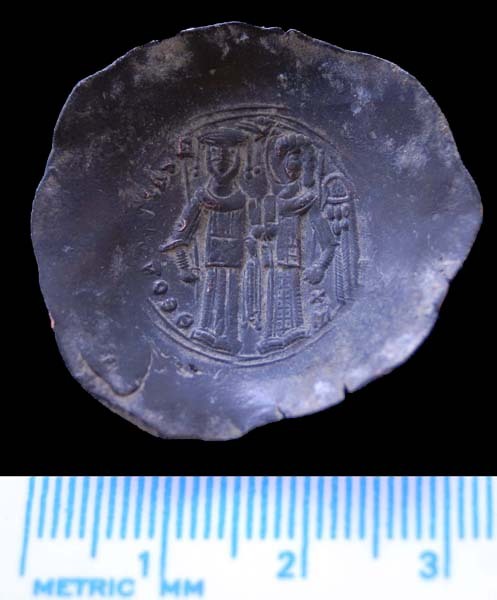 The coin has the mint name of Constantinople. The coin does not find a parallel amongs the published Ottoman coins from the Athenian Agora. 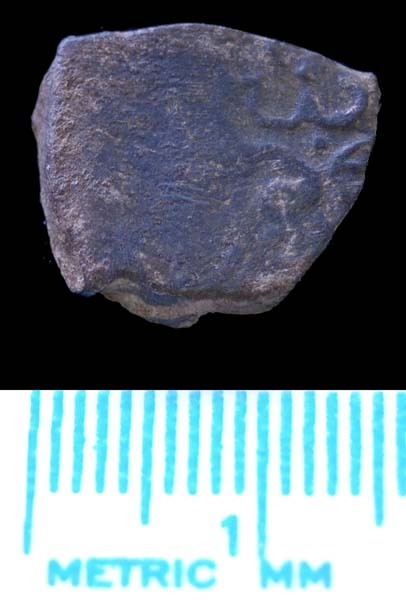 Ottoman copper coin discovered in the North Cistern, Square 21. 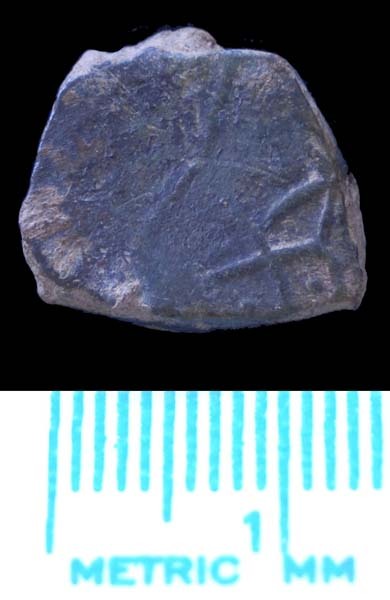 This coin was poorly struck at the time of minting, but has features that resemble a Mangir found in the Athenian Agora excavations (Mills 1962: Plate III.38) dated circa AH 972 = AD 1564-5 which places the coin during the reign of Sultan Suleyman I (AH 926 - 974 = AD 1520 - 1566). 1998 Mangir. Usaklilar Egitim Ve Kulture Vakfi Yayinlari, Istanbul. 1962 Islamic Coin.s Athena Agora. American Schools of Classical Studies at Athens, Princeton - New Jersey. Iron forceps. Discovered in the North Cistern, Square 14. Iron knife from GPS survey. 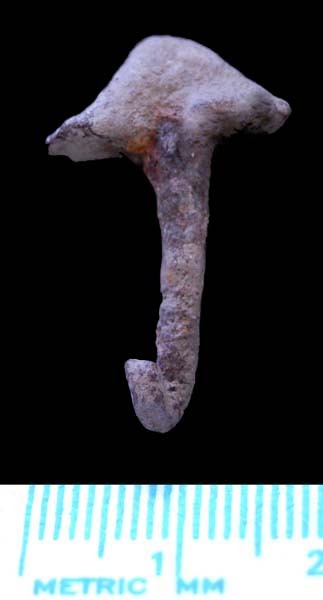 Iron nail for a beam from Square 25, Locus 4. Iron nail that was clinched over from Square 16, Locus 5. 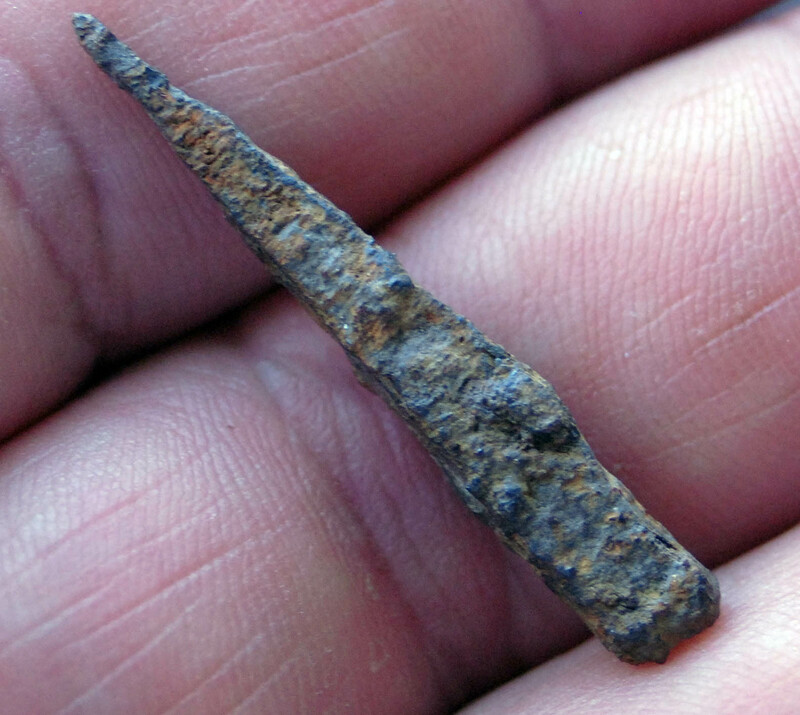 Iron nail that was clinched over from Square 20, Locus 6. 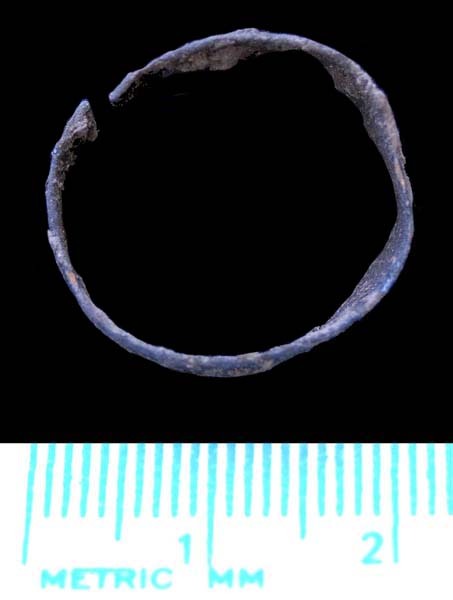 Silver ring from Square 10, Locus 20. 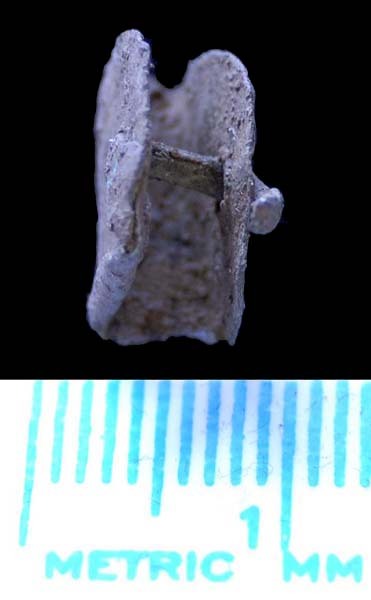 Metal belt fitting from Square 19, Locus 2. 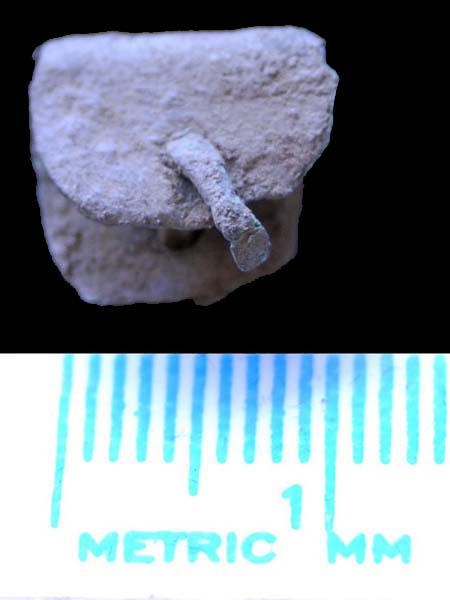 Medieval arrowpoint for piercing chain mail found in TP-19 by Rob in Markovi Kule. 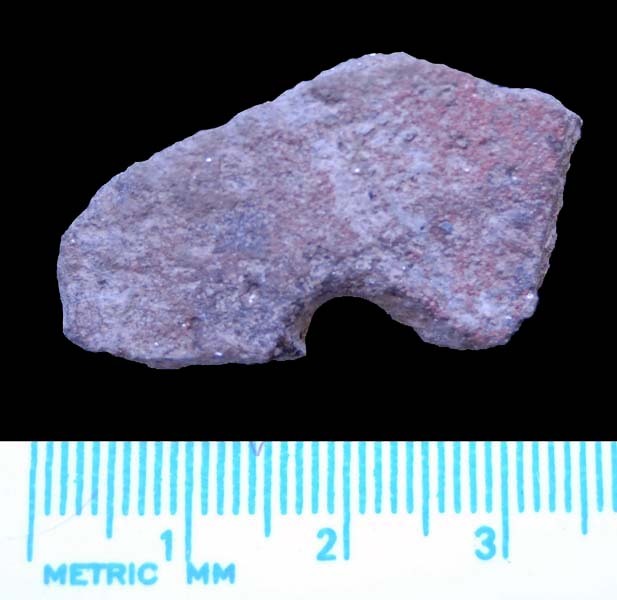 Drilled sherd, probably a spindle whorl, from Square 20, Locus 6.